Recently, Vu launched its latest series of Vu Premium Android UHD certified Smart TVs with HDR10 & Dolby Vision support. Till date, in the budget category, the 2017 series Pixelight models of Vu have been the most successful TVs. Their 2018 Android models were unable to leave an indelible mark and have earned my criticism in the past. Today, we will find out whether this new range of Premium Android TVs meets our expectations or not. You will find a detailed video on this series on our YouTube channel Techiebeez India. All TVs in this series come with exactly the same picture quality and features. You can select the size according to your requirement. Purchase link is there below this article. 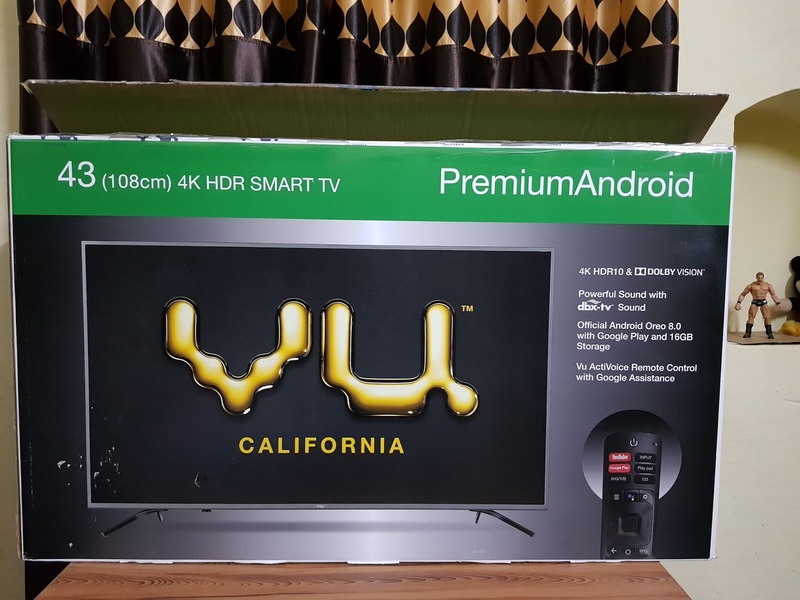 The Premium Android range of Vu TVs come packed in cardboard boxes with a huge Vu logo printed on them. To rule out any physical damage during transportation, Delivery boys from Flipkart make you check the TV in their presence. Inside the box, along with the TV come two pieces of metallic titanium grey tabletop stand, one wall mount unit, a remote, two AAA batteries, screws and a user manual guide. The TV is sent to you securely placed inside a double sheet of thermocol covering. The built quality of this series of TVs is premium and honestly speaking, none of the TVs in the budget category can even stand next to them. Titanium Grey material has been used in the construction of these TVs, whose ultra-slim bezel maximizes the viewing area to add to the Premium ness of these TVs. Google Play. You even get a settings button on the remote, through which you can adjust picture settings in any mode. These TVs comes with 3 HDMI and 2 USB ports. They have HDMI ARC so you can connect your home theatre with these TVs. Through HDMI CEC you can operate multiple compatible devices via a single remote. 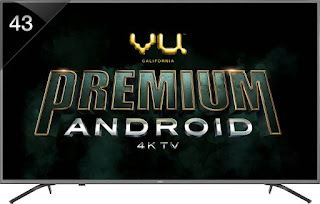 These Premium Android TVs have multiple connectivity options, including, a digital audio output port, headphone jack, SPDIF port, AV input port, Ethernet port & DLNA. The most sought after feature, Bluetooth, is also available in these TVs. You can easily connect your Bluetooth headphones, keyboard, and mouse with them. These TVs come with dual-band Wifi. 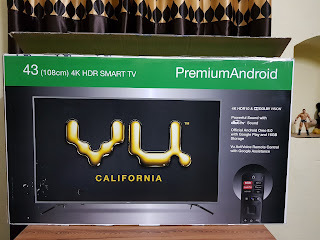 In comparison to many Android TVs, the boot time of this series is less and the 3D logo of Premium Android TV that flashes after Vu California looks pretty attractive. On switching on the TV, you are greeted with this UI, which looks pretty neat. These TVs comes with A+ grade VA panel and DLED backlighting. The response time of these TVs is 8 ms. According to the company, the Premium Android series of TVs come with a static contrast ratio of 10000000:1 and they have a brightness of 450 Nits. All these TVs come with high dynamic contrast. Though I will not be able to endorse the claim of the company to a staggering figure related to static contrast ratio, it can be definitely said that the brightness and contrast of these TVs are pretty good. These Premium android TVs come with five aspect ratios 16:9, 4:3, auto, panoramic and direct. Like other budget category TVs, these TVs too have a refresh rate of 60 Hz. The ultra-smooth motion rate struggles to smoothen out the transition between frames, by inserting extra frames, but, still, it fails to stop the blurring during fast action scenes. However, motion blur in these Premium android series of TVs is less in comparison to other TVs in the budget category. The company lays stake to the claim that this series of TVs come with 4X picture upscaling. 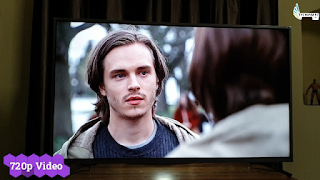 We played a 720p video on the 43-inch TV and it definitely got up-scaled and played in a much better resolution. In the budget category, definitely, Vu has been a leader in imparting its TVs a better picture upscaling capability. And, in this series, it has gone a step ahead in this direction as picture upscaling capability of this series looks even better. MPEG noise reduction, gamma correction and adaptive contrast all work together to enhance the picture quality of the Premium Android TVs and give you a wonderful viewing experience. The colour reproduction of this series of TVs is accurate and you get natural colours. Details hardly get lost in the dark and bright parts of the scenes so your viewing experience is highly enhanced. The blacks are deep and brightness, contrast all grace this series with brilliant performance especially when you are watching 4k videos. According to the show that you are viewing, you can choose the best out of the seven built-in picture modes provided in these TVs. HD channels look pretty good, however, SD channels lack clarity. In my opinion, the Quantum Luminit models of Shinco give you a better picture quality, while watching SD channels. Now coming to the viewing angle, despite having VA panel, the picture does not get washed off even if you view these TV from extreme angles. You can comfortably view these TVs from any corner of your room. When it comes to audio, the 43-inch TV comes with two down-firing box speakers that give a total power output of 20 Watts. The 50 inches and the 55 inches TVs in this series come with a total sound output of 24 Watts, while the 65 inches TV gets 30 Watts of Audio output along with Tweeters. Like its earlier models, the company has graced this series too, with Total Sonics, Total Surround, and Total Volume. However, in my opinion, these are of hardly any use. Instead, you need to turn them off and play with the equalizer setting to get a good audio experience. The audio of this series is loud and crystal clear. Not only dialogues are fully audible, you can also hear the beats of all instruments clearly. There is no need for an external speaker with these Premium Android TVs. Despite repeated efforts, Google Chromecast did not work with both my phones Samsung Galaxy S9+ and Note 8, which draws the conclusion that these TVs will support only a few Android phones for Chromecast. all these TVs come with official Android 8.0 Oreo operating system. They come with hi-end Quadcore processor that has a clocking speed of 1.1 GHz. For graphics, they have 450 MP2 processor. These TVs have 1.75 GB RAM and 16 GB internal storage. There is an optimized Google Play Store from where you can download applications and you can also side-load apps in these TVs. 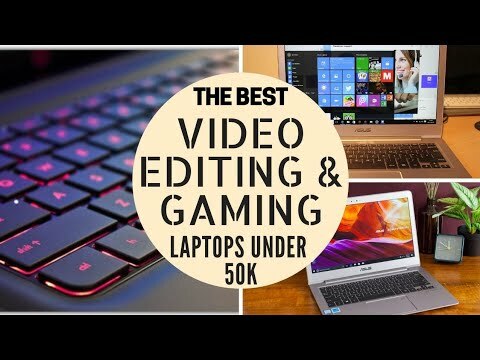 4k videos play smoothly on these TVs without any buffering that too on low Internet speed. The quality of 4k videos on these TVs is amazing. Each and every detail in the picture is displayed with clarity. Both YouTube and Netflix can play videos in up to 4k resolution. All applications work smoothly on these TVs and you can watch Amazon Prime video & Hotstar in full HD resolution. Both 4k HDR10 and Dolby Vision videos when played through Netflix are displayed with amazing clarity. The smartness of the Premium Android series of TVs impressed me a lot as even on low Internet speed there was no buffering at all. The voice command feature of these TVs is highly responsive and you can use this function effortlessly, at the mere push of a button. These Premium Android TVs are most appropriate for high-end gaming through PlayStation. You can play 3D 4k games smoothly in high quality. Motion blur gets reduced to a large extent and is hardly visible when you connect a gaming console with these TVs. The quality of 4k videos in these TVs is highly impressive. This Premium Android series easily beats all prior Android models of Vu. It is for the first time that the smartness of any Vu TV has appealed me. The cons that I found in these TVs is that Google Chromecast did not work with both my high-end Samsung phones and the transmission of SD channels was not up to the mark. However, this could be due to the fact that previously, I had been using TataSky, instead of Airtel Set Top box. It is a delight that the company has come up with pretty good TVs in the real budget category. These TVs have been graced with some most sought after features like voice command and Bluetooth that go missing even in the high range TVs of bigger brands. In most of the 4k TVs, 4k is hardly of any use as watching 4k demo videos through USB makes no sense, but in this series, we get to watch Netflix and YouTube videos in 4k resolution, which increases the charm of buying a 4k TV. Till now, the Pixelight models of Vu had the best picture quality, but, this TV also does not stand second to it in any regard. In this Premium Android series of TVs, apart from HDR10 support, you also get Dolby Vision support. Pixelight range only had Opera smartness, but in this new series of TVs, you get complete Android smartness. Despite being categorized in the budget category, these Premium Android TVs give a tough competition to even higher range models of bigger brands like Sony and Samsung. Without any hesitation, it can be definitely said that this Premium Android series beats all the TVs not only in the budget category but also many in the higher category by its picture performance and useful features. Before this review came the seller of these TV's increased the price upto 5k for 43&50 inch models. I have never seen like the price difference between 50 and 55 inch models of 9rupees. Wht was in the mind of Seller of these Tvs. Your review made us really happy to purchase this TV but sellers action really disappointed me.